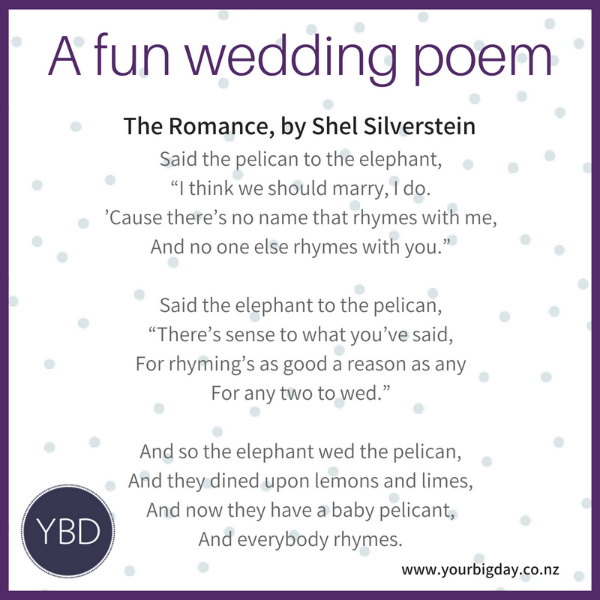 None of these poems were written as wedding poems – but that’s what makes them so much fun! “Pairs of things that go together. You can find inspiration for wedding readings and poems everywhere. In kids books, movies, comics, TV, music, nature, even food! And don’t be afraid to add to, switch up, and adapt what’s out there to best suit your personalities and wedding style. Get in touch and we can work together on creating a fun and personalised wedding ceremony, just for you!